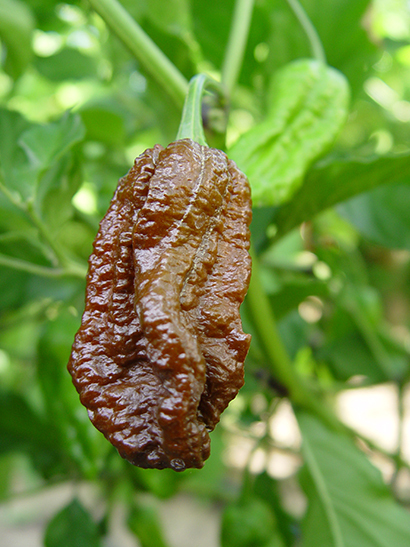 We offer Ghost Pepper Bhut Jolokia for sale as Pepper Plants, Pepper Seeds and Fresh Peppers. 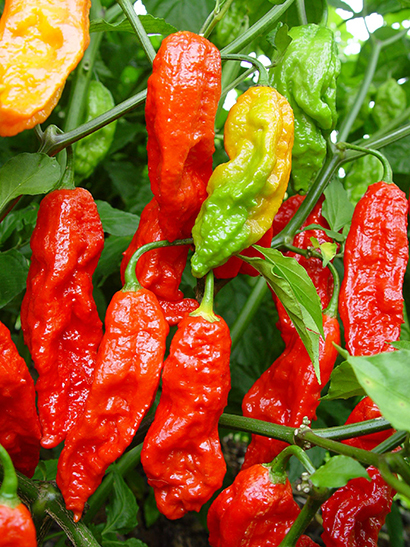 The Ghost Pepper, also known as Bhut Jolokia, was the of the first super hot peppers, coming in at just over one Million Scoville Units. It became the Guiness World Record Holder for the hottest pepper in 2007, and was double the heat of any other pepper at that time. 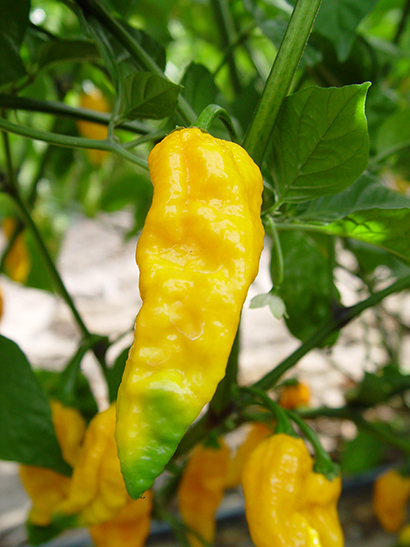 Since then many other super hot peppers have been found and/or developed, but the Ghost Pepper Bhut Jolokia has remained a very popular favorite. It also now comes in different strains and colors.